We share the same middle name—Emerson. About a week ago, an envelope arrived in the mail. The address was hand written in a recognizably flamboyant style, using what appeared to be a black Sharpie felt-tip pen. Clue number one was the unmistakable script—none other than my mom’s handwriting. Inside was a short letter scrawled on an odd piece of notepaper, on which she’d written that she had found some old pictures of her and my dad’s wedding. She thought we might enjoy seeing them. She was right! 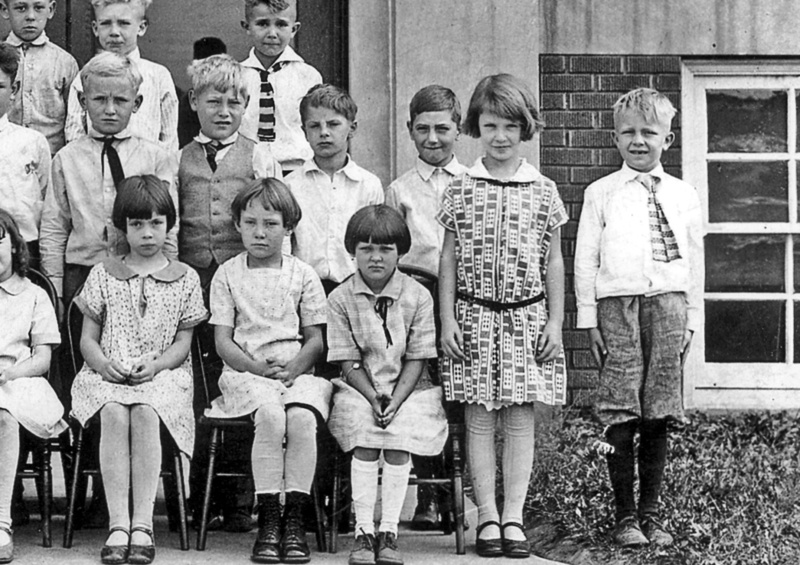 In addition, there was a bonus picture of my dad when he was about 8 years old, taken with his classmates in front of their long-since demolished grade school. A spirited quiz ensued between Cheryl and me as to which child was really him. Of course, we had never seen him at 8 years old, in knickers, nor were we familiar with that fashionably mussed-up hair style he had going on that day. But in the end, it didn’t really matter whether it was him or not, because the picture had already served its purpose—Dad was already firmly in our thoughts. The next day after the envelope arrived, I departed to visit my mother and family in beautiful Nashville, Indiana where my parents had lived out many blissful retirement years in their wooded retreat. Sadly, Dad passed away about 10 years ago, leaving a space in our hearts that will never be filled. However, life is once again sweet, and love abounds, but that doesn’t mean we don’t still miss him terribly. On the last couple days of my visit, I went for an overnight at my brother’s house in Indianapolis. Soon after I’d arrived, we were catching up with one another’s’ lives, talking in the kitchen. Suddenly, something caught my eye. I noticed a flash of familiar color behind a glass door of the cabinet. I opened the door and carefully took the colorful china figurine from the top shelf. 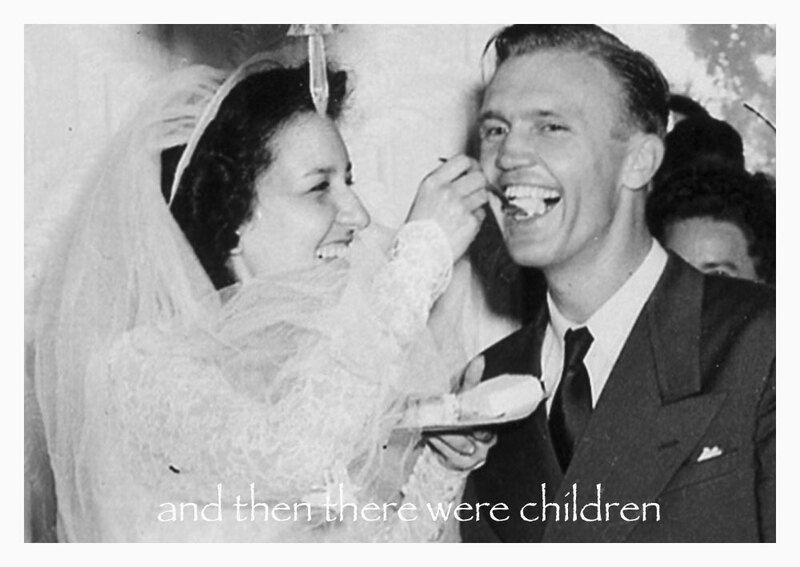 It was the old ashtray that had amused us as kids. My brother had evidently retrieved the old-time favorite as one of his memory-pieces after Dad died—a fond reminder for sure. My own recollections flooded back as I studied every detail of that whimsical, nostalgic keepsake. 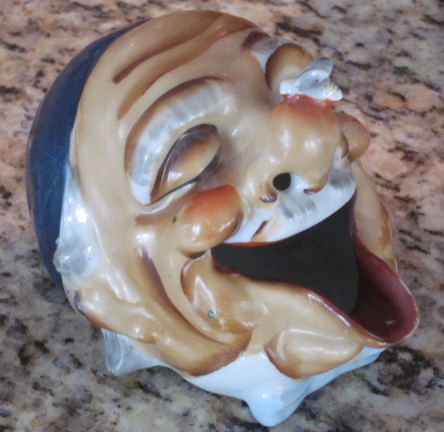 The old man’s head ashtray worked like this: Take a lit cigarette (back in the days when smoking was unfortunately the norm) and place it onto the out-turned lower lip of the ceramic gentleman. 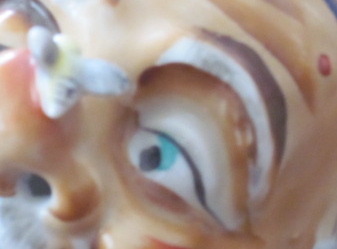 As it continued to burn inside the figure, smoke would curl upward from the nostrils of that silly little face. Our eyes were fixed on the figure, as we anticipated the first hint of wafting smoke. The man’s face didn’t change, no matter how hard we stared. He just kept looking cross-eyed at the pesky fly on the tip of his nose. It always made the 3 of us kids laugh to see his smoking nostrils in action. After arriving back in California late the following night, Dad was still on my mind. 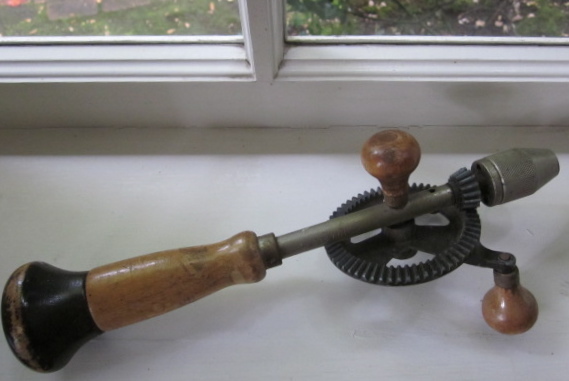 I walked into the sun-room, where I picked up the old hand drill that I had retrieved from Dad’s workbench 10 years ago. It serves as my own little memory-maker. 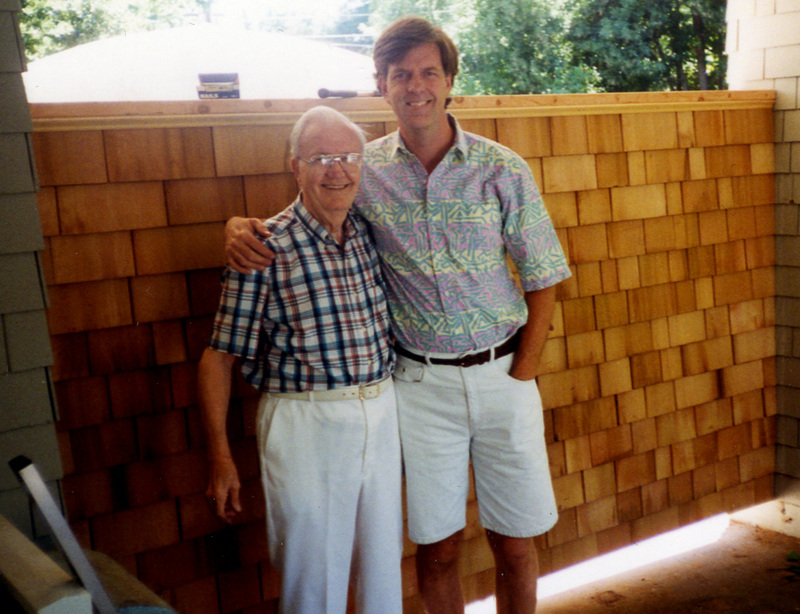 I loved to work with Dad on projects around the house. He was really clever, and could do just about anything. It was in those hours of closeness and conversation, that he taught me all I needed to know about how to work hard, do my best, and how to love like there’s no tomorrow. He was a wonderful father, and friend to many. But, no matter how much time goes by, I’ll always miss his mischievous laugh and those great times we shared working together. So, when that empty place in my heart begins to ache, all I have to do is pick up that old wooden drill from the windowsill—memories of Dad are never very far away. I’ll always love you Dad! very touching Em and shows that you always have had a great heart.